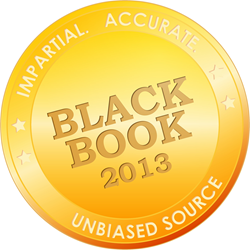 Black Book Rankings’ annual poll of nearly 17,000 active EHR users uncovered 1 in 6 medical practices could exchange out their first choice EHR by year's end. Remarkably, the majority of frustrated system users blame themselves for not properly assessing practice needs before selecting their first EHR vendor with the narrow goal of receiving government incentives. With unmet expectations in system features, implementations, deliverables and client support issues mounting, up to 17% of all currently implemented physician practices gear up for changing out solutions, in what may become the Year of the Great EHR Vendor Switch. “The high performance vendors that will emerge as viable past 2015 are those dedicating responsive teams to address customers’ current demands,” said Black Book’s managing partner Doug Brown. And those demand lists are growing longer and longer according to the survey responses. Users foretell of dozens, if not hundreds, of software firms underperforming badly enough to lose major market share as the industry evolves and struggling vendor solutions don't keep pace.